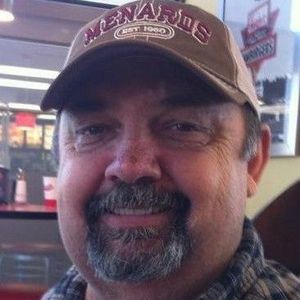 Donald Wayne Hughes, 69, of Pendleton passed away on March 30, 2019 after an extended illness. He was a lifelong resident of Pendleton and graduated from Pendleton High School in 1969. He was a retiree of General Motors and was very proud of his business in Pendleton, Fall Creek Electronics. He was a dedicated volunteer for Madison County EMA. He is survived by his wife of 47 years, Susan (Humphrey) Hughes who he married May 29, 1971, his children, Steve (Tassy) Hughes and Donna (Justin) Duncan and his grandchildren; Nicole, Michael, Doug, Lexie, Malcolm, Zaria, Steven Jr and Sophie and 6 great grandchildren. He is also survived by his brother, Paul (Barb) Hughes, his niece Heather Sheets, his mother-in-law Dorothy Humphrey and 3 brothers-in-law. He loved his friends at Hardee's and his longtime friend, Allan Howell. He was preceded in death by his parents, Orville and Lorraine Hughes and his grandson, William Reynolds. Graveside services will be held at 11 a.m., Wednesday, April 3, 2019 at Grove Lawn Cemetery, 537 N. Pendleton Avenue, Pendleton, Indiana 46064. In lieu of flowers, please donate to South Madison Food Pantry.